More university leavers are moving back in with Mum & Dad than ever before, according to news reports, as they struggle financially to get on the housing ladder. One solution to an overcrowded family home is the ‘graddy annex’, a fully-fitted, self-contained unit that grown-up kids can make their own. At Norwegian Log, we have seen a recent spike in enquiries from families interested in this option and our range of solid log, high quality annexes hits the spot. For years, we have been supplying customers with an annex for granny and, with our new range of contemporary style modular buildings, it is now the youngsters’ turn. 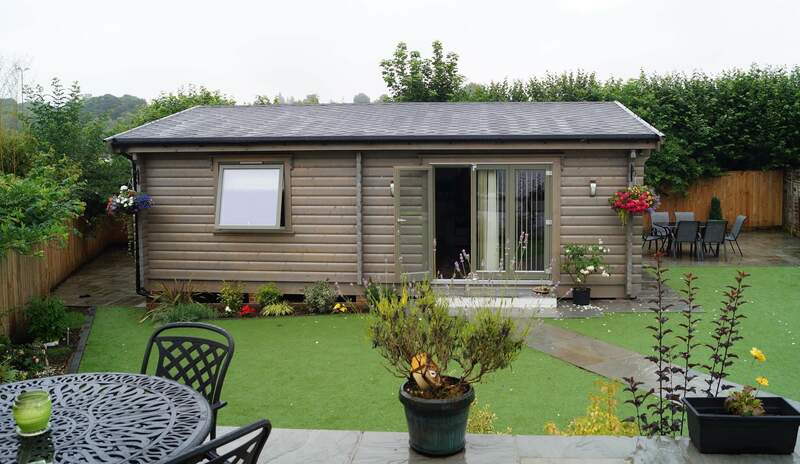 Sited next to the main house or at the bottom of the garden, a Norwegian Log annex can boast up to two bedrooms, living area, kitchen/diner and bathroom. Available in traditional or contemporary styling, they are as solid and durable as they look, yet comply fully with the definition of a mobile home, so are zero-rated for VAT. And our contemporary modular annexes can be installed in around a week, therefore minimum disruption. The solid log structure means each annex has a high level of natural insulation, keeping running costs low, and an indefinite lifespan with only minimal maintenance. 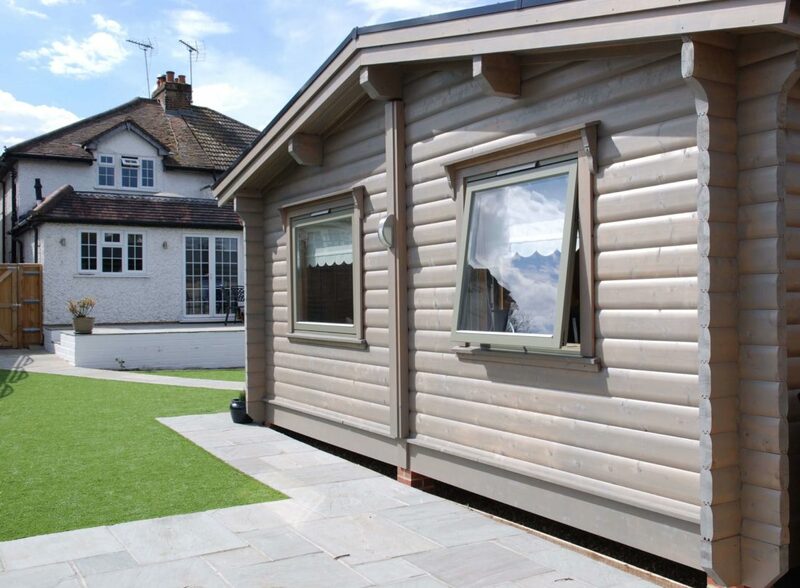 Our annexes come under the ‘Caravan Act’ and in most cases will not require planning permission provided the annex is for the exclusive use of a family member, is sited within the legal garden and remains ancillary to the main house. However, it is always good to check with the planners first and we are happy to do this on your behalf by applying for a Certificate of Lawful Development. When the kids have moved on, the annex can be used as a sleepover space for when relatives visit or converted to a home office, gym, garden room, chill out space or even for granny! Interested? Contact us for more details on our solid log annex range.